Late last year, David Kooi, the owner of Santa Monica Mountains Cyclery in Woodland Hills penned a great guest post for this site about the importance of supporting your local bike shop. Now they’re showing their support for others, with a fundraiser for the Milt Olin Foundation’s #HandsOff Movement to celebrate the shop’s sixth anniversary. 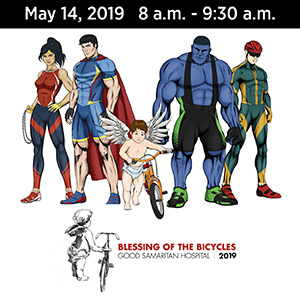 Donations of just five or ten dollars will enter you to win prizes ranging from lights and helmets, to a new $2,500 ebike. I can’t think of a better cause. The Milt Olin Foundation was born from the tragic death of entertainment executive Milt Olin, who was run down by a sheriff’s deputy as he was riding on Mulholland Highway; the deputy was distracted by his cellphone and onboard computer, and never saw Olin riding in the bike lane. Remarkably, no charges were ever filed. His family channeled their grief into forming the foundation, which unveiled the #HandsOff app and program last year, urging drivers to pledge to keep their hands off their phones while driving and encouraging others to join them. By supporting them, you can help save lives. And maybe even get some great bike gear while you’re at it. 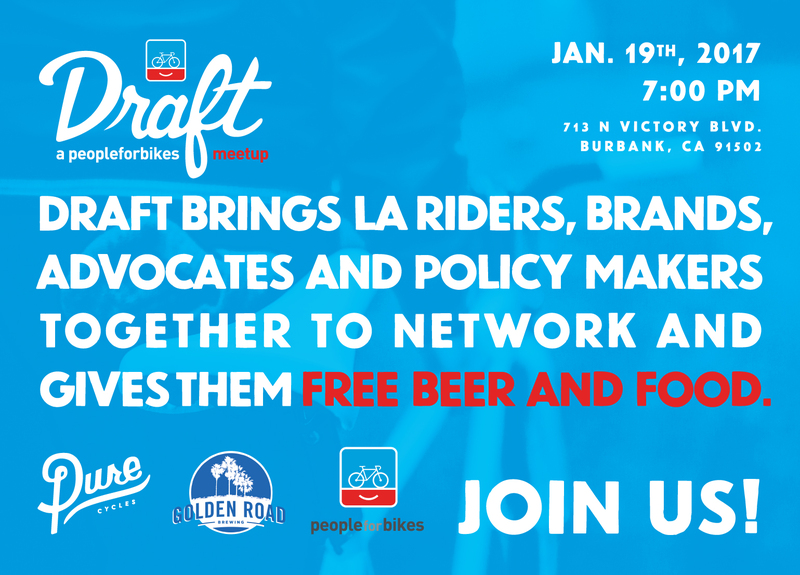 Tonight marks the second LA edition of Draft: A PeopleForBikes meet-up at Pure Cycles in Burbank, 713 N. Victory Blvd. The free event, which runs from 7 to 9 pm, will feature several luminaries of the local bicycling community, along with food and craft beer from Golden Road Brewing. Members of the Zwift team. The beer alone is worth the price of admission. Even though there isn’t any. Here’s what CiclaValley had to say about the Draft meet-up, as well as the SMMC anniversary celebration. 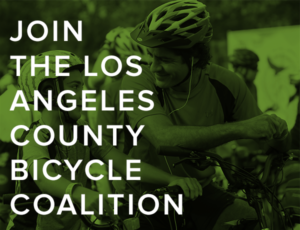 The LACBC is looking for applicants for its Team LACBC Diversity Program, which is designed to help riders who might not have the resources to participate in a multi-day ride take part in this year’s Climate Ride. Team LACBC participates annually in Climate Ride California (June 9-13), providing LA cyclists with an opportunity to support the Los Angeles County Bicycle Coalition and raise awareness of sustainability, active transportation, and environmental causes. The annual group charity ride features an all-new route this year, exploring the stunning California Central Coast, departing from San Francisco on June 9 and winding up 300 miles later in San Luis Obispo on June 13. Now that’s a crash. Spanish pro Joaquim Rodríguez goes over a guard rail on a training ride and flies down a steep ditch. Then just gets back on his bike and rides off. A women’s pro cyclist explains what it’s like to go to boarding school with your cycling heroes. The student government at traditionally bike-unfriendly USC discusses making the campus even more unfriendly to bicyclists by banishing bike riders to the periphery of the campus. Oddly, their rivals across town at bike-friendly UCLA don’t seem to have any problem welcoming bike-riding students and faculty on campus. A Long Beach columnist writes a tongue-in-cheek piece about first-world problems, like bollards on a protected bike lane. The Guardian looks at fat biking in California, as more ski areas take up the sport. Placentia is asking for input on plans to revitalize the downtown area, which could include curb-protected bike lanes, judging by the drawing. Costa Mesa will study the impact of a possible bike trail through Talbert Regional Park. An Irvine police lieutenant is honored as one of America’s 40 under 40; he got started on his career path in high school when he was ticketed for riding his bike while wearing headphones. Advisory groups in exclusive La Jolla continue fighting to keep bikeshare from besmirching their fair city, preferring one car parking space over a handful of bikes, and insisting the town’s “topography is not conducive to more bicycles.” Oddly, I didn’t have any problem with the topography when I lived and rode down that way. Sad news from Bakersfield, as a woman has died after the bike she was riding was struck by a drunken hit-and-run driver; the driver may be the senior VP of a vineyards operation. San Francisco’s supervisors vote to disrupt the disruptors, as writer for Forbes considers what the city’s backlash against a Chinese app-based bikeshare company says about East-West cultural differences. America’s first protected bike lane was built 50 years ago in Davis. A Davis columnist complains that killing a cyclist doesn’t seem to be against the law in California, as a woman walks when the DA decides there’s not enough evidence to get a conviction in the death of a cyclist competing in a time trial — even though she may have been on her phone at the time of the crash. And even though no one bothered to test her for drugs or alcohol. Bike Biz worries that forcing American bike makers to actually build bicycles in the US will make them more expensive, both here and overseas, resulting in lower value as the price goes up. Police recover a bicycle stolen in a Washington bike shop break-in, but it will cost more to repair the damage to the shop than the bike is worth. Adventure Cycling Association is hiring a Digital Production Specialist for their Missoula MT headquarters. Bicycling picks up the story of proposed North Dakota legislation that would legalize running over bicyclists and pedestrians. Austin TX will install bicycle traffic signals; meanwhile, the six county region around the Texas capital is working on its first long range regional active transportation plan. This is the cost of traffic violence. A Michigan woman discovers she’s pregnant weeks after her bike-riding boyfriend was killed in a hit-and-run. 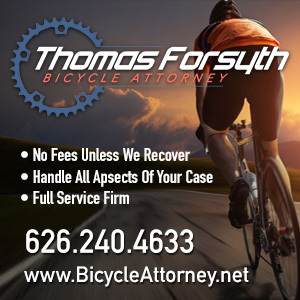 Life is cheap in Ohio, where a 76-year old driver walks with a $500 fine for killing a bicyclist. But at least he won’t have a driver’s license until he’s 81. A Greenwich Village website says bikes will save the community when New York shuts down a major subway line for a year and a half for maintenance work. Incoming Vice President Mike Pence says he’s not planning to leave his bicycle at home when he takes office in DC. London appoints it’s first full-time Walking and Cycling Commissioner. Caught on video: A speeding, wrong way British driver nearly hits a cyclist after he mounted emergency lights and a siren on his car to avoid traffic jams. A cyclist in the UK was forced to crawl off a busy highway when he fell off his bike and broke his hip — then had to wait two hours to be flown to a hospital. An Indian TV network asks if riding a bike is worth the risk, and concludes that the country’s bad roads and lack of protections for vulnerable road users don’t help. A pair of cyclists are riding over 1,300 miles across India to raise funds for a school that teaches differently abled children. A Dubai developer will build 65 miles of cycle tracks around the emirate. Cape Town, South Africa is working on transforming itself to become a “bicycling super city,” as it seeks to boost cycling by a whopping 800%. An Australian cyclist writes about the five worst habits too many drivers have. Add this to your bucket list. A Kiwi newspaper lists five of the world’s best bike trips, from skirting the North Sea to riding from Hanoi to Ho Chi Minh on Vietnam’s Highway 1. If you fall off your bike, they may not ask you who the president is. Who needs a bike lane when you can ride down a vertical wall? And Lamar Odom gets just six months for plowing into a group of bike riders; no, not that Lamar Odom. Dj Wheels offers a few legal updates, which I’ll try to catch up on in the next few days. But one thing sure to get a lot of cyclists’ blood boiling is the news that Steven Rush, sentenced to a wrist-caressing 10 days in jail for helping his daughter Dominique hide evidence in the heartless hit-and-run death of 17-year old cyclist Alex Romero, is already out from behind bars. According to Wheels, Rush was taken into custody around noon on March 6th, the day he and Dominique were both sentenced. And released less than two days later, at 6 am on March 8th. A virtually consequence-free Lindsey Lohan-ish spin through the judicial system. Yeah, that will certainly send a message to anyone else considering hiding evidence of a crime. As in go ahead. It’s no big deal. Just another dead cyclist lying in the road. I love this photo from UK bike blogger Karl McCracken, aka KarlOnSea, clearly demonstrating the harmful environmental effects of bicycling. Gas prices have you thinking about trading your car for a bike? Now you can. In a brilliant bit of guerilla marketing, Santa Monica Mountains Cyclery is partnering with a nearby car dealer to let you trade your car for a new bike. Just pick out your bike, and go across the street to have your vehicle evaluated for its trade-in value. Then pop back to the bike shop to finish the transaction and ride off on your new bike. The offer is good next week, starting Monday the 18th and running through Sunday the 25th. It will be interesting to see if anyone takes advantage of it. And if any of those are new to bicycling. But either way, the shop deserves credit for using current market conditions to put their name on the map in a big way. Santa Monica Spoke reminds us of tonight’s Bikes – Ballads – Beers benefit for fellow LACBC affiliate chapter West Hollywood Bicycle Coalition at Little Bar. I won’t be able to make it, but it sounds like a damn fun — and very affordable — bike night. The USC Cycling Team invites you to join them for a benefit ride on Sunday, March 25th, offering your choice of three rides of increasing speed and difficulty, all starting at 9:30 am at Bike Effect, 910 W. Broadway in Santa Monica. The suggested $20 donation supports the 2012 USC Cycling race program. Meanwhile, bike-friendly KCET looks at this weekend’s Wolfpack Hustle Marathon Crash Race. American Cyclist offers a remarkably one-sided look at helmet use, relying on a largely discredited study citing an 85% reduction in head injuries for riders wearing helmets. While I am a firm believer in helmet use, they are not magic devices that will miraculously protect the wearer against all harm. They’re most effective for relatively slow speed collisions, since their design standards only dictate protection at impact speeds up to 12.5 mph. And even the best helmet will do nothing to protect against injury to any other part of the body. In over 30 years of riding, I’ve only needed my helmet once. And in that case, I’m damn glad I had it. But let’s be honest about their limitations, and not pretend they can perform miracles. The great VC debate continues, as former advocate for Vehicular Cycling Rick Risemberg says cyclists should at least operate like vehicles around other riders. The Department of DIY strikes again, as Except Bikes placards suddenly appear on No Parking signs. Gary Kavanagh becomes an official Streetblogger. LADOT offers initial results on wayfinding input, and wants your take on biking through the Sepulveda tunnel under LAX; personally, I don’t even like driving through it. A pink bike may be the key to a murder investigation. Beverly Hills moves forward with a bike route pilot program with no discussion, at least not yet. Cal State Northridge police bust a pair of juvenile bike thieves; they must have really sucked at it to even get noticed. Lincoln Heights bike shop owners consider building a Velodrome for Eastside fixie riders. Altadena gets a five-mile bike boulevard in the new county bike plan. Women on Bikes SoCal interviews Steven Rea, author of Hollywood Rides a Bike. Long Beach will celebrate April Fools Day with a bike scavenger hunt; the city also offers the nation’s largest city-wide discount program for cyclists. Happy 104th birthday to Long Beach’s Octavio Orduno, who may be the worlds oldest living cyclist. Claremont Cyclist looks at last weekend’s Bonelli Park Pro Triple Crown, the U.S. Cup of mountain bike racing. The popular San Gabriel River bike path is getting an upgrade. Newport Beach police with celebrate St. Patrick’s Day with a crackdown on bicyclists, pedestrians and vehicle operators to promote bike safety, followed by another on the 24th; I have no problem with it as long as they focus on all violators, and not just cyclists; thanks to David Huntsman for the tip. San Diego gets a new Bayshore Bikeway, and SD riders are encouraged to help rebuild a beloved children’s bike park. The first leg of the 2012 Women’s Prestige Cycling Series will take place next week at the Redlands Bicycle Classic; nice to see women riders finally beginning to get the attention they deserve. Work has begun on a new bike path to connect North and South Camarillo under the 101 Freeway. San Francisco police ignore witnesses and insist a cyclist intentionally crashed into the back of a road raging driver, evidently believing we bike riders are so insane we often crash into cars to get the driver in trouble; maybe this is how they see us. The field is announced for this year’s Amgen Tour of California. 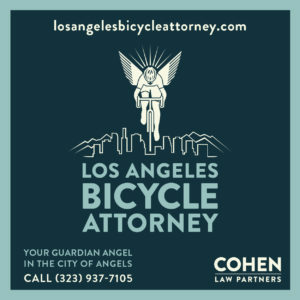 The Atlantic Cities asks if the bikers’ rights movement is gaining momentum, quoting both L.A. attorney Ross Hirsch and former LADOT Bike Blogger Christopher Kidd. Bike lawyer Bob Mionske compares the lack of cycling support among U.S. officials with the newly found backing from UK MPs. Will Levi’s still be in the bikewear business in two years? A Scottsdale cyclist does everything right, and still gets killed by a possibly inattentive driver. Oregon loses a bike-friendly Republican legislator. Idaho considers a three-foot passing law, while banning two-abreast riding. The hazards of biking in the Chicago suburbs. Sports Illustrated looks at rising BMG cycling scion Taylor Phinney. After a Canadian cyclist is apparently right hooked, police blame the rider for travelling too fast on the sidewalk and not wearing a helmet; good thing drivers don’t have to take any responsibility in the Great White North. An 85-year old cyclist is critically injured by an unmarked police cruiser in bike-unfriendly Toronto; any guess how long they will take to place all the blame on the rider? A 93-year old Scot driver is charged with killing a cyclist celebrating her first anniversary. Scottish cyclists plan a mass ride on Parliament April 28th. UK rabbis declare this the Big Green Jewish Year of the Bicycle, and in an ecumenical gesture, drop in on the Archbishop of Canterbury to say hi. The Guardian asks if British bikes are worth buying — aside from Bromptons and Pashleys, of course; thanks to Evan G for the heads-up. A British solicitor says the common drivers’ excuse that a cyclist came out of nowhere is unacceptable. Surprisingly even-handed advice on how to make the road safer for Australian cyclists. Proposed stickers would warn Aussie drivers to look out for cyclists when opening their doors. Finally, Volvo introduces a new outside airbag to protect cyclists and pedestrians; it won’t stop a distracted driver from hitting you, but it may hurt a little less. Then again, it will probably only be the most careful drivers who buy it, anyway.